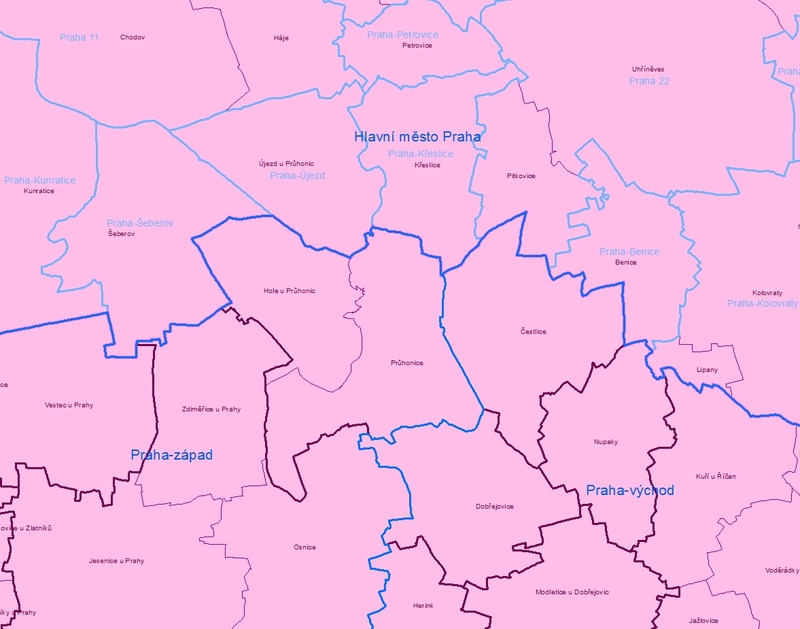 Product description The File of Administrative Boundaries and Cadastral Units Boundaries consists of 11 features - areal features of boundaries of the Czech Republic, NUTS 2, regions, districts, municipalities with extended authority, municipalities with deputed councils, municipalities, cadastral units, administrative districts (for the capital of Prague), city sections for the capital of Prague and some statutory cities. Also descriptive information - attributes of the boundaries are parts of the file. The data are administered by Czech Office for Surveying, Mapping and Cadastre in co-operation with Czech Statistical Office. Update cycle - update state The data of the file are updated from RÚIAN four times a year. The updated files are provided to users on January 1st, on April 1st, on July 1st and on October 1st.